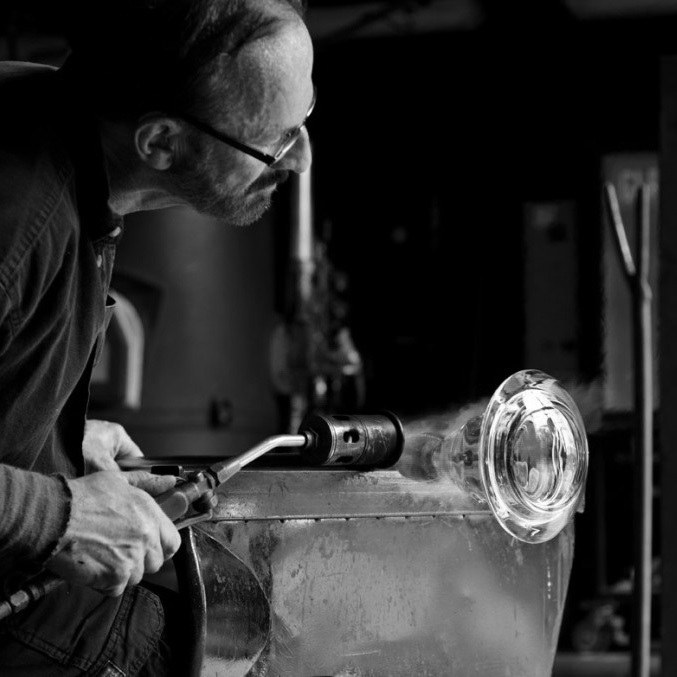 Watch live as Lewis Olson, a member of the Hot Glass Demo team, demonstrates his talents as an artist in the Amphitheater Hot Shop on August 31 from 6 to 8 pm. A storyteller by nature, Olson is attracted to the endless possibilities in using glass as a medium for communication. His pieces embody his fascination with the sensual, sculptural, optical, and functional properties of glass; whether they are representational of the human figure or exotic animals or explorations of surface pattern or architectural form. His work can be seen throughout the world in private and public collections. Lewis Olson began working with glass in his native New Zealand in the 1970s. In the 1980s his passion for glass took him to Australia, Africa, Canada, England, Scandinavia and Italy, where he worked in glass studios and factories. A storyteller by nature, Olson is attracted to the endless possibilities in using glass as a medium for communication.